March 1995 I came to Calgary as a 20 year old woman (girl really) looking to start my career in broadcasting. At the time I was convinced that I’d only be staying for a year. Well, here we are 20 years later. My first job was straight out of BCIT, where I was getting my Broadcast Communications Diploma. I got the call from my instructor saying that a radio station in Calgary was looking to hire a traffic reporter. I thought to myself, "There’s no way I’ll get that job, I don’t even know Calgary. I’ve only been there once when I was a kid!" Reluctantly, I applied for the position. Next thing I knew they offered me the job. What? How? Okay now what? So I called my dad for his fatherly opinion. His response, “Calgary?! Yes! Take it! You’d be stupid not to.” Okiee dokie! I guess that settles it. I’m moving to Calgary. That position lasted about 2 years, then the radio station decided to land the aircraft, forcing me to do ground traffic from the radio station studios for 107 KiK FM and QR 770. 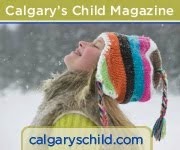 I knew I wanted to move on and up in this business so I put some applications out across BC and Calgary. I even tried to break into the “voice over” industry. But I was still pretty raw and couldn’t land any extra work. Eventually I got a call from a radio station in Kelowna looking for a sales rep. I had no idea on how to be a sales rep, but I was willing to try. So I gave my notice, packed up my apartment and was about to head back to BC. This is what I always figured I’d end up doing anyway. BUT WAIT! Three days before I was expected to leave, my radio station manager asked me if I signed the papers yet for this new job. In fact, I hadn’t, but was expecting them that afternoon. I said “No, why?” Right then and there I was asked if I would like to co-host mornings with Roger Rhodes on Rock 107, which later became Power 107. I couldn’t say no. I knew that in my heart I wasn’t a sales person. It really was an opportunity I couldn’t pass up. Thank you James Stuart and Roger for giving me that chance. Roger and I had a good run from 1997 – 2000. Many mornings were spent laughing and getting in trouble. We drank MANY cups of coffee. This is what you do when you’re up at 4:00 a.m. and need to be perky! As the cliché goes, “All Good Things Come To An End.” It’s just one of those “things” that happen in the biz. In July of 2000 I left that fun morning position to find myself in a predicament of wondering if I should stay in radio. Not long after leaving Power 107 (ummm being asked to leave... yes I was fired - for unknown reasons ) I was offered a temporary position on Good Times and Great Oldies 66CFR. I filled in for their midday show and helped out in their promotions department. Talk about not knowing what you’re doing. That seems to be the theme for me. I usually get myself into something I really knew nothing about, but eventually I figure it out. 66CFR was an Oldies Station. I had limited knowledge of the music that we played from the 50’s, 60’s and 70’s. I often turned to my good friend Samantha Steven’s who would help me. The songs from the 60’s especially seemed to be long titles. And not all the titles fit on my music sheets. In particular I remember seeing a song by the Hollies “He’s Not Heavy, He’s My….” And it didn’t tell me what the last word was. And I had no idea. For all I knew it was Dog. Or maybe Truck. So Samantha laughed at me and said it’s “Brother”. “He’s Not Heavy, He’s My Brother.” But today that would NEVER happen, thanks to Google being at our finger tips! I’ll admit I was never really in radio for the music. It’s about the conversation. And the opportunity to have a voice. Not just a voice for me, but a voice for those who need to get the word out. But I said YES to this job, not knowing if I’d be good at it or not. I quickly learned that Country Music isn’t just about the music. It’s the lives and stories that surround the music that make it so great. It wasn’t long before I was, not only in love with the music, but with the people who listened to it. Country Music Fans are dedicated fans, but they’re also family. They work hard, love what they do and live their lives day by day. Country music is about the story of your life. I made a quick connection with the Country Music listeners. And that was just the beginning. After realizing that this genre was my niche, it got even better. 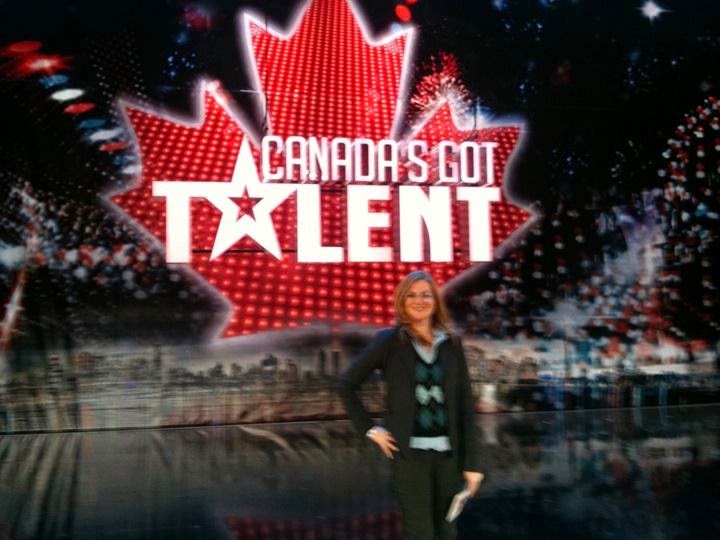 Country 105 decided that I would host a syndicated show across Canada. I remember Phil Kallsen, PD of Country 105, asking me, “How would you like to host your show in 4 markets across Canada?” Again, here I was in a position of thinking, “Sure! Now how the hell do I do that?” I’ll figure it out. And I did. Christina At Night was launched in Calgary, Red Deer, Edmonton and Hamilton in 2003. I said, “What kind of a show do you want me to do?” They told me to just be me and connect with the listeners like I know how. Hmmm I thought. Okay. I’ll figure it out. So away we went. Christina At Night was a show about YOU. About your life. It was billed as the Soundtrack To Your Life. And I made it just that. It was about the music, but it was about the stories that made up the music. People from across the country called me. Some to just simply request a song. Some to say “Hi.” But then something happened. Callers sensed that I really cared about them. I had to make the VERY hard decision to end that run with Christina At Night. It was tough emotionally for me to run the show, produce the show and be the ear that everyone wanted. I decided to take an offer to report on traffic again. Again, one of the toughest decisions I ever made. Getting back into traffic brought me back to Rogers. The station that hired me to help out with 66CFR. 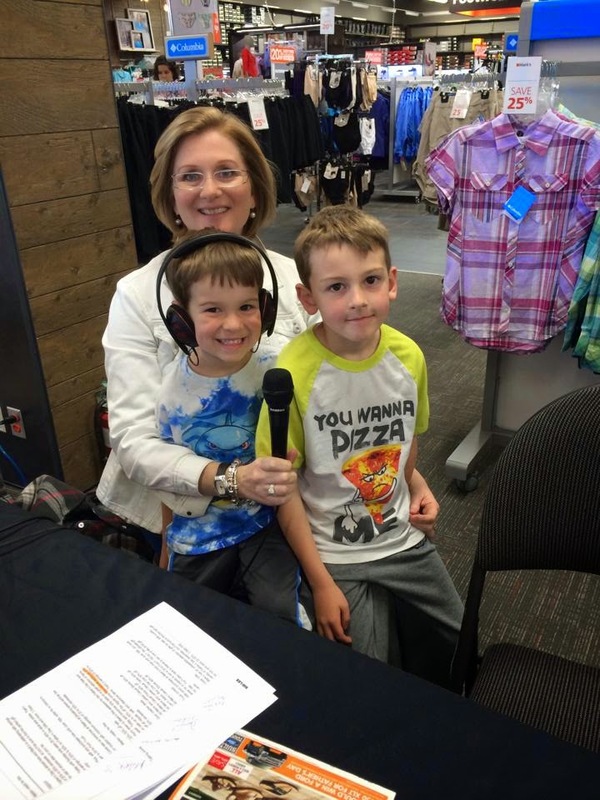 I was the ground traffic reporter for a brand new news station 660 NEWS. A position I took to find some calm in my life. A regular shift doing what I knew, reporting traffic for Calgary. Deep down inside though, I knew I wanted to get back on the air to do a regular show again. Traffic was a great “vehicle” to keep me in the business, but I always knew that having a “voice” on my own show was where I needed to be. But until that opportunity came up again I was content reporting on traffic. Which is a crucial part of everyone’s day! As life had it, I too was growing in my life. I was now married, 34 and about to have my first child. In July 2007 we welcomed our first son. I took maternity leave, thinking I’d be back in a year. So much for that idea. When my son was 6 months old I was once again given an opportunity I couldn’t pass up. My colleague was leaving her midday position at Lite 96 to move on with her career. This was the perfect show for being a mom and keeping my hand in radio. 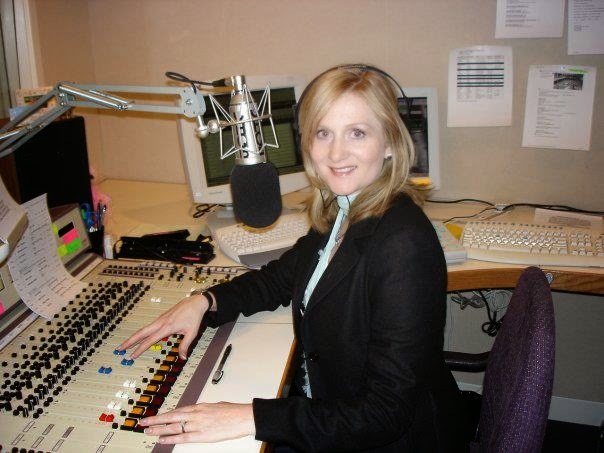 February 2008 I stepped in as your midday host on Calgary’s At Work Radio Station Lite 96 CHFM. Rogers was good to me. Always making feel like I was an important team member. When I was pregnant with my second child they made it clear that they would wait for me to return a year later. In October 2009 we welcomed our second son into the world. Lots of life changes for me and still an opportunity to have a voice and connect with people through the magic of radio. I couldn’t have been happier. Lite 96 was a heritage station with strong talent! Don, Joanne & The Coach and Bruce Ritchie made me feel welcome. But again, all good things come to an end. Don and Joanne moved on and I was given the chance to “fill in” on the morning show until they found a new morning team. I had the opportunity to work with the talented Terry Reid who flew in from Vancouver for 2 months. I was back in the morning time slot. It had been many, many, many years since I had to get up at 4am. This time it was tough as I had two small children and I was much older! I was thrilled when they hired their new team Mookie & Billie Jo. Best of all, I’ve found a new lifelong friend. Billie Jo has been an amazing support for me. I only hope I do the same for her. Bruce Ritchie too moved on. But I’m in constant contact with him and hope to see much more of him in the near future. Maz, Kris Mazurak, stepped into the afternoon time slot. Maz was someone I met back in my Power 107 days. It has been a huge honor working with him again. Seeing the changes he’s also gone through in this business and in his life. 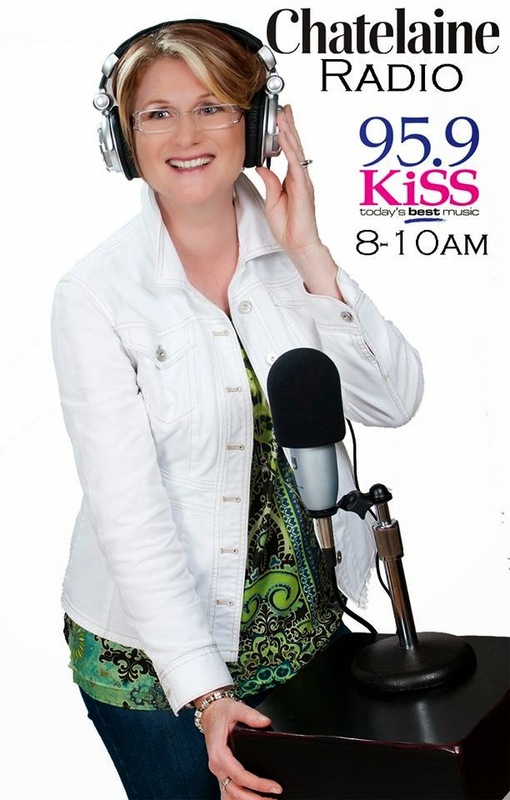 And just last year Lite 96 also grew up, changing to KiSS 95.9, (Update 2019 - changed again to CHFM) Still Calgary’s At Work Radio Station, playing great music to get you through your workday. Although I have been enjoying my time at KiSS, I just knew inside that I needed to grow. And after having the dream about doing the magazine I knew I had to start something. 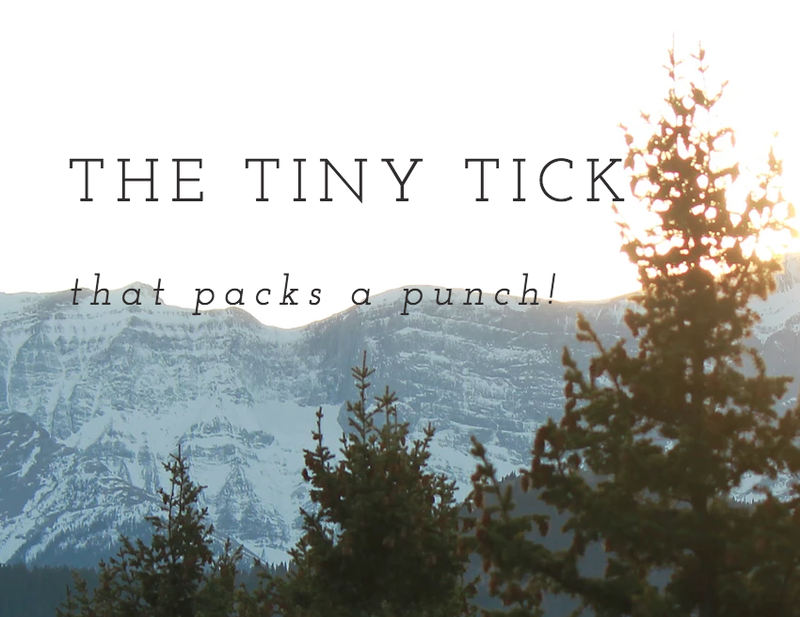 Not knowing how to do a magazine, I started a blog. 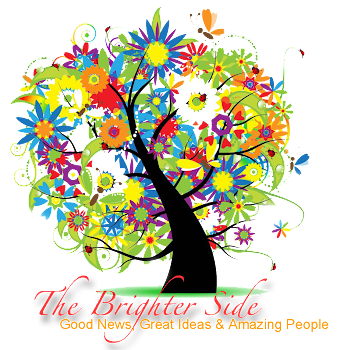 The Brighter Side – Good News, Great Ideas & Amazing People. It’s a place to find all of those things. The response has been bigger than I anticipated. I will continue to write for The Brighter Side as long as I keep finding stories that lift people’s spirits. 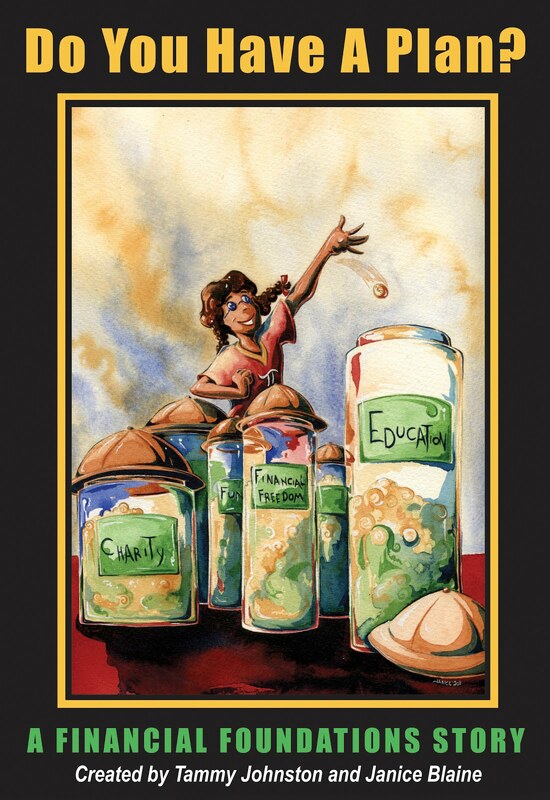 But this blog is what lead me to a company I co-founded with my business partner Sheri Bruneau. Sheri has a company called Get It Together Inc. She helps you with your move before, during and after. I blogged about her on The BrighterSide. I usually like to meet the people I blog about, so this was no exception. Sheri and I hit it off right away and started talking about businesses and how there’s a need for some good quality information to help business owners move forward. 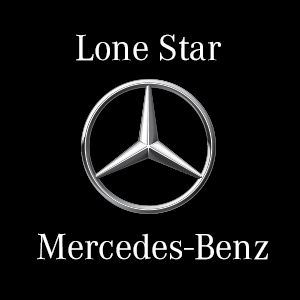 I was finding, through my blog, that there ARE great businesses out there, but some don’t know how to move forward. And any little nugget of information can be helpful for them to move forward! So that’s when Sheri and I decided to start Brighter Business Empower Inc. On our napkin at the coffee shop we wrote “To Empower Individuals To Succeed In Business”. That is still our motto today. We’ve now become a community of business owners who want to grow their business. 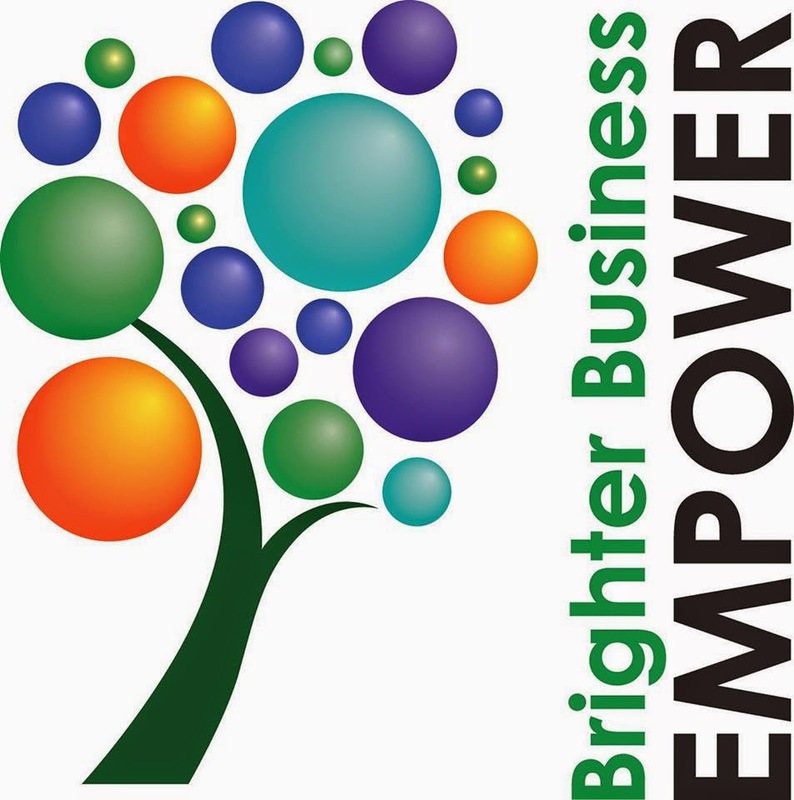 Brighter Business Empower is the place business owners learn BIG ideas. Along the way we were presented with the idea to do a magazine. At first I thought, this is my chance to learn how to do that magazine my brother told me about in my dream. After finding out HOW to do a magazine I decided that it would be a perfect fit for Brighter Business Empower and not my blog The Brighter Side. We are now into our second year with the BBE Magazine. It’s a FREE online magazine that is filled with articles from industry experts and entrepreneurs giving nuggets of information to help you move your company forward. We talk to our experts on the BBE Blog TalkRadio show. Now, keep in mind all the while I’m still working at KiSS 95.9 and the mother to two small children. I’m learning so much about myself with this company. There is so much more I can do and learn. I’m still doing what I love, helping people. I always said that my radio show will be to help people smile, laugh and have a good day. BBE has given me the opportunity to not only help small business owners, but we’ve given them a sense of direction and empowered them to succeed. And published a magazine! What? How? I once again put myself in the path of “I don’t really know what I’m doing here, but I’m going to do it anyways.” What I’ve learned is what I always said to myself, “It’s your life and you’re the only one who has to live it. So live it the way you were meant to live.” Life purpose. When something just comes to you naturally you need to give it a try. 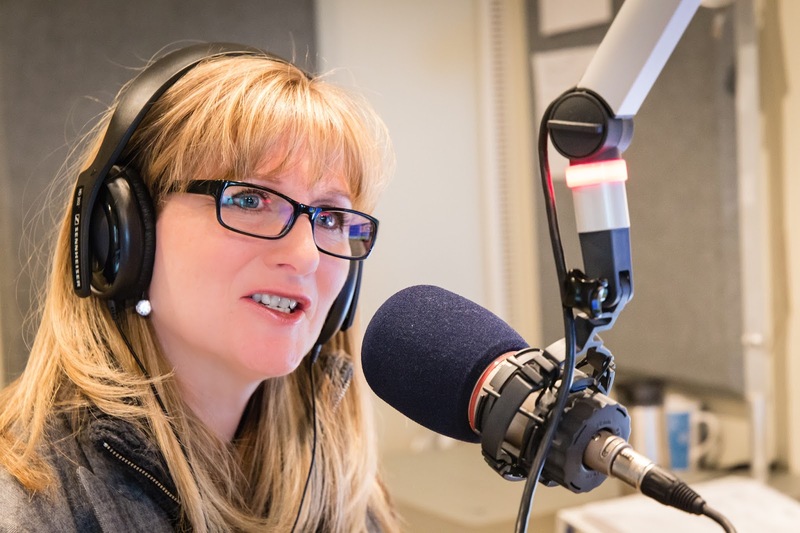 So here I am, after 20 years of being on the air in Calgary, hanging up my headphones. Sort of. I’ll still be doing my regular Blog TalkRadio show for Brighter Business Empower online. I’ll be the publisher and editor of the BBE Magazine. And who knows, perhaps a voice over or two. Remember to always stay true to who you are and who you will become. Be true and authentic no matter what. UPDATE August 15, 2017 - Since writing this post... so much has happened in my world where the Brighter Business Empower Magazine is no longer - however you can find archived issues here https://issuu.com/bbempower. I'm also the midday host on Soft Rock 97.7 now. You can listen live at www.softrock977.com ~ I also continue to write for this blog www.thebrighterside.ca. As I said before, life moves on, we grow, we learn... and here I am again back on the airwaves. And loving every moment of it.